Change. The emotional storm of the unforeseen future leaves most employees focusing on the myriad of misguided assumptions resulting in physical and emotional opt-outs. Times of mergers, divestitures, culture clashes and other leadership challenges often find participants in strategy meetings immediately jumping into solutions, often oblivious to solving the right problem to align performance to strategy. It is one of the most prevalent and pernicious maladies in organizations, leading to high costs, turnover, and lack of employee engagement. How can the OD professional effectively coach under lack of engagement, poor moral and even constant turnover during challenging times? Is there a process for handling change that is effective for all stakeholders? Can companies develop high-performing resilient teams that also meet shareholder expectations? 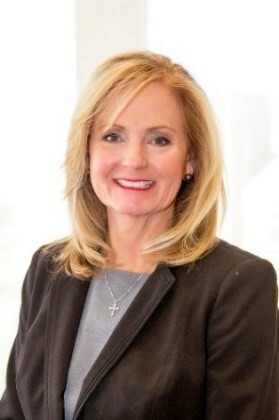 Dina Readinger has been transforming and coaching diverse teams, leaders, and industries since 2008. A global executive coach for cultural optimization, Dina understands complex HR issues and the desire to improve financial returns. Dina is an ICF certified team business coach with a passion for organizational development, solidifying strategy and tactics to increase profitability. Her work focuses on diagnosis, strategy, and leading change. In addition to Dina’s 35 years in the healthcare industry, she has also coached leaders from a diverse range of industries including manufacturing, energy, and commodity trading. Today, an entrepreneur, Dina owns two St. Louis-based businesses: ACE COACHING COMPANY, LLC, for companies in transition, and Diagnostic Think, LLC, focusing on leadership acceleration for executive women. ACE COACHING COMPANY, LLC has been recognized twice as one of St. Louis' Best Consulting Firms by St. Louis' Small Business Monthly. With undergraduate studies in biology, currently Dina is finishing her EMBA at Washington University, St. Louis' Olin Business School.